The IPDC Waiting List report shows the total number of patients waiting, across the various time bands, for Inpatient and Day case treatment in each Specialty (these numbers do not include GI Endoscopies, see separate report). Each report lists the numbers waiting per Hospital in each particular specialty. To preserve confidentiality, where there are <5 patients waiting in a particular specialty/hospital, we have aggregated the numbers under a ‘Small Volume’ heading. Work on the quality of this data is ongoing between NTPF and individual hospitals and technical and administrative issues will be addressed as they arise. • From August 2015 NTPF standardised the Time band categories on our published reports. We now show 0-3 Months, 3-6, 6-9, 9-12, 12-15, 15-18 and 18+. This aligns to the DoH/HSE clearance targets for waiting lists, in line with maximum allowable waiting times directed by the Minister for Health. • St. Michaels Hospital, Dun Laoghaire - Inpatient/Day case file since Nov 2015. • From July 2015 Tallaght Paediatrics and Adults figures were shown separately. 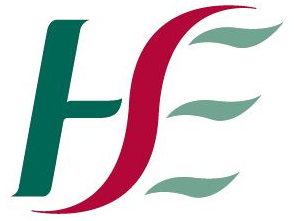 • Due to PAS system upgrade in University Hospital Limerick no file was received from July 2015 until September 2015. • Due to PAS system upgrade in St John's Hospital Limerick no file was received from March 2016 to May 2016. • Due to a PAS system upgrade in Nenagh Hospital no files were received for October 2016.